PCI is a leading private insurer of physicians, professional athletes, entertainers and other wealthy clients in select high-profile professions. Our only job is to insure your ability to practice medicine and protect your wealth and we take our job as seriously as you take being a physician. Over the years, we have become an industry leader in designing and offering the most complete and comprehensive insurance coverage available for physicians in all specialties. 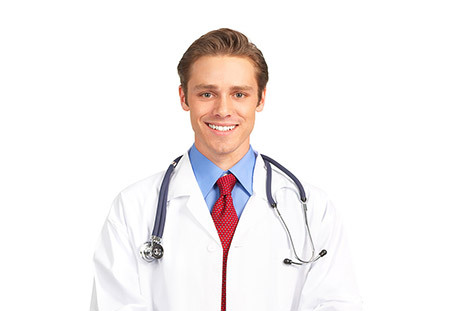 We have an active roster of satisfied clients practicing all disciplines of medicine. Every doctor knows how important being insured is, but most doctors spend a majority of their time focusing on their patients and are often unaware of the fine details of their insurance coverage. The following true story is a perfect example. A physician in Virginia purchased a home in excess of $4 million in Florida and was in need of home insurance. However, he discovered his existing agent in Virginia was unable to insure his home in Florida, nor a third home he owned in South Carolina. Upon meeting the client, we discovered he was using seven insurance agents, who collectively had not clearly defined his overall exposure. Through our due diligence we uncovered several large and potentially damaging gaps in his existing coverage. To minimize his risk we consolidated all of his personal lines policies into one account with one national carrier. In addition, we simplified his billing by having all of the policies renew on the same date. This resulted in a savings of more than $10,000 of his insurance portfolio. Stories like this are repeated all too often throughout the medical profession because as a doctor, your primary focus is on your patients, not staying up to date on your current insurance coverage. 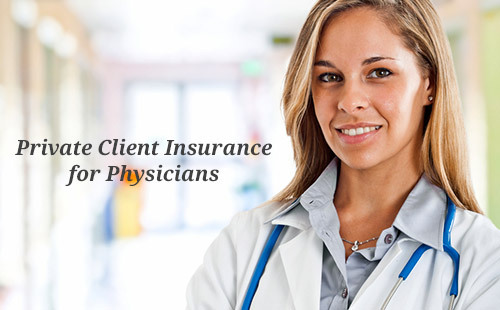 PCI specializes in high-coverage insurance for physicians. We are here to make sure you have a complete umbrella of insurance that covers your home(s), vehicles and all of your assets and possessions, as well as any physical injury or disease that may prevent you from practicing medicine in your chosen field. We can provide you with an umbrella insurance policy that will insure you against anything that could possibly happen to you that could adversely affect your ability to earn money as a doctor. In the event of a permanent injury or debilitating disease that prevents you from practicing in your specialty, your income and financial future must be protected. We can insure you completely against this type of devastating event. What would happen to your financial future if you were injured tomorrow and could no longer practice medicine? We will sit down with you and design a policy that will completely protect you in the event of an injury or illness that ends your medical career, with an eye toward protecting your wealth not only now, but for the long-term and into in the future. Our focus is not only on protecting your overall financial health from any injury-related issues, but also to make sure you are completely covered for any type of liability exposure in order to protect your wealth and future income. We call this wealth preservation and the need for adequate personal lines insurance protection to preserve your assets from loss is paramount. If you are a highly-paid professional physician, chances are good that you have a nice home(s), nice vehicles and employees to handle specific duties such as housekeeping, groundskeeping and maintenance. Whenever you have vehicles of any type and even just one employee, it is absolutely vital to have adequate liability insurance. Chances are also good that you enjoy entertaining and will want to have parties and other events at your home with small to large numbers of people attending. If you know you are going to frequently have guests at your home, it is absolutely vital to have adequate liability insurance. Let's face it, the simple fact that you are a highly-paid physician makes you a likely target for litigation in the event of an injury occurring on your property. What happens if someone on your housekeeping or maintenance staff is injured or even worse, while on your property? It doesn't matter if it was in the course of their duties as an employee or not, the simple fact that they were injured on your property, opens you up to liability. What happens if someone attending a function at your home is injured or even worse? Again you are likely open to exposure for liability and in the event of the worst, what will happen to their family, how will they be provided for and taken care of? Do you have enough coverage? Unfortunately these events do happen and when they do, the most important thing for you and for us, is to make sure you are adequately protected. But how much is adequate and how much is enough? It may be more than you think and for good reason. In today's litigious world, million-dollar injury and wrongful death lawsuits are almost a way of life. The fact is, if someone gets severely hurt or killed and you are found somehow liable, you will most likely be sued for millions of dollars, so you really do need to be heavily covered. We always suggest having more than enough liability insurance to cover the value of your home and all your assets plus any legal fees that may arise - then double it. This way, in the event of a catastrophic claim, you will be fully covered and be able to keep your assets. This is also why it is so important to have the best carriers in the business. PCI works with only the strongest, most reputable AM Best-rated insurance carriers in the United States. We are extremely selective in our choice of carriers and only work with those that provide first class service and exceptional claims departments. If you are a professional physician, or you represent a professional physician and would like to find out more about PCI, or to schedule an appointment, call us at 301-245-0130. We look forward to hearing from you.